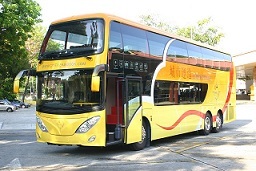 Since 2005, they have been specializing in providing express coach service to Malacca, Kuala Lumpur and Genting Highlands. Their main pick-up point is at Kovan, which is located along the North-East line of MRT (Kovan MRT Station). This company is popular for it''s service from Singapore to Genting Highlands and Malacca. In 2009, they had increase one more branch in Ang Mo Kio Ave 1. However there is no pick-up point at Ang Mo Kio branch. Thus, all passengers have to board at Kovan.